Molly Mitchell, a 2017 Hastings College biology graduate, used her Hastings College connections to study abroad in Ireland. But her path to an international graduate program was not straightforward. Molly Mitchell ’17 in the lab. Mitchell was studying biology and had planned to go to medical school, but was feeling lost. An internship the summer before her senior year pushed her into a direction: food safety microbiology. The internship, at the U.S. Department of Agriculture’s Meat Animal Research Center (USMARC), in Clay Center, Nebraska, she worked in a microbiology lab on a project that studied salmonella isolated from cattle and their environment. “I fell in love with the science and techniques used in the lab, and I had to acknowledge my passion for food safety after ending the internship because it was all I wanted to study and learn about,” she said. Between college and her PhD program, Mitchell started her career path LABs, Inc., an organ procurement laboratory. After LABs, she moved onto SomaLogic, a clinical diagnostics company, where she spent six months learning proteomics. “I wanted to build my resume and experience the field before pursuing a PhD program,” Mitchell said. She became interested in the program in Ireland in November 2017, through Dr. Scott Nguyen, a postdoctoral researcher, who she worked alongside at her internship with USMARC. Nguyen helped Mitchell network with Dr. Seamus Fanning, one of the leading food safety microbiologists in the world. Fanning is also a professor at University College Dublin. She was accepted in December 2018 and began her program in January 2019. “It’s a chance to learn under Dr. Nguyen and Dr. Fanning, and both are some of the most respected people in their fields,” she said. So far, Mitchell has enjoyed the beauty of Ireland, the food and touring nearby towns. “Dublin is a bustling, loud and quick moving city with a multitude of restaurants, pubs and beautiful brick paved streets to explore,” she said. Hastings College prepared Mitchell for her experiences in Ireland through a J-Term class she took her sophomore year that traveled to Seville, Spain. Having traveled to a new country for a month in the past, made the change a bit easier. Mitchell was inspired through international travel and her internship to go down a different path than she would have initially chosen for herself. “The connections I made at USMARC and Hastings College are the reason I am here today!” she said. She said Hastings College classroom experiences also influenced her life. When Mitchell came to Hastings College, she had her heart set on going to medical school. 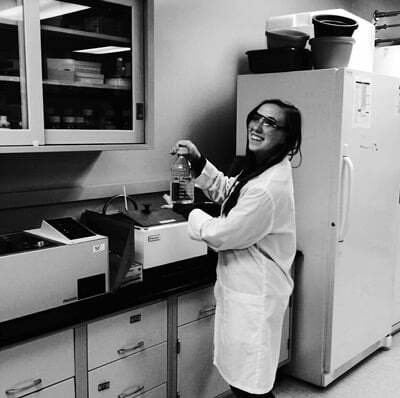 After taking microbiology with Dr. John Bohmfalk and ecology with Dr. Amy Morris, she realized she could blend her interests and have a future in research. “Hastings College allows it’s students to try and study many things so that they can find their interests,” she said. By Courtney Hanson, a sophomore from Brookings, South Dakota, majoring in communications studies and philosophy.